Mention Africa and this vast continent conjures up images of game parks and safaris, where those wishing for adventure can encounter magnificent animals roaming free in their natural habitat. South Africa has some of Africa’s most famous game reserves and lodges where lions, leopards and cheetah can be viewed, either running through the wilderness or lounging amongst the tree branches. One of the best ways to see these ‘big cats’ is by safari with &BEYOND, an experienced tour operator, which takes up to a maximum of eight people on journeys featuring itineraries that can be tailored to suit individual preferences, offering complete freedom of choice. Beginning and ending in Johannesburg, their five night Big Cat Safari goes in search of an intimate glimpse into the lives of the continent’s most magnificent predators. 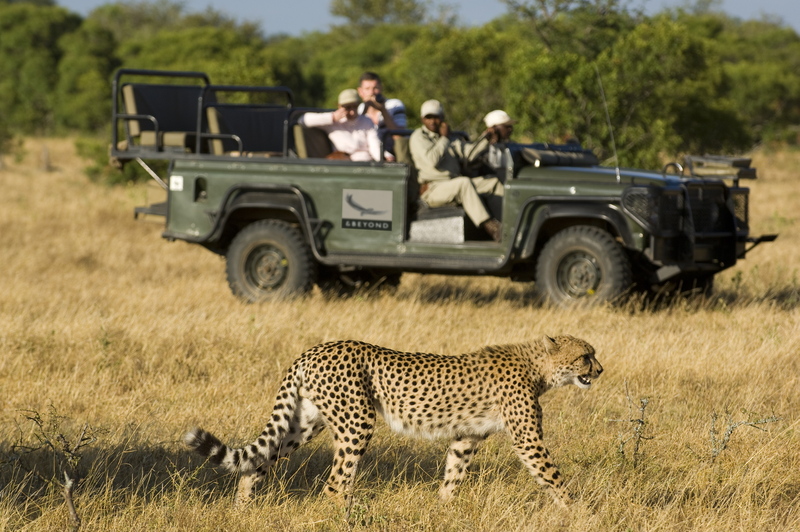 The adventure travels from the renowned Sabi Sand Game Reserve or Kruger National Park to the splendidly diverse &Beyond Phinda Private Game Reserve where it is likely to encounter the elusive cheetah. 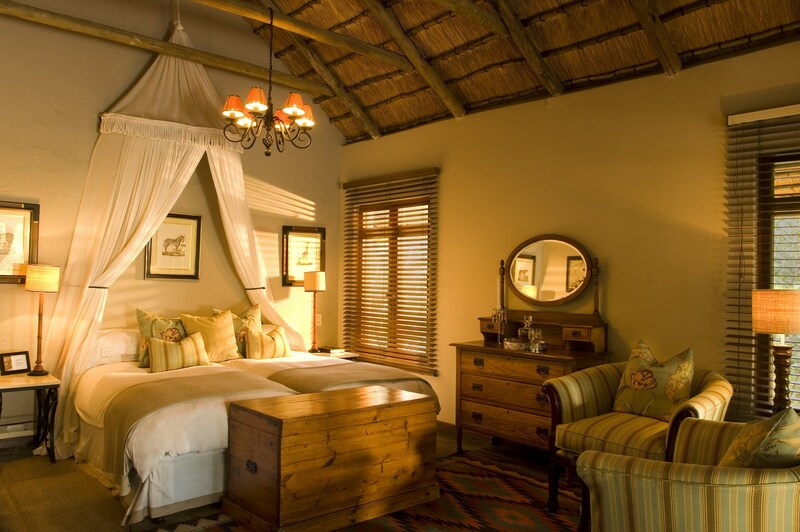 The Sabi Sand Game Reserve bordering the Kruger National Park is made up of a number of private game lodges. With no fences between the farms, animals wander across vast stretches of grazing land. The area guarantees a never to be forgotten experience of the African Bush and with one of the richest game populations in the country, the chances of seeing the Big 5 (lion, leopard, buffalo, elephant and rhino) are excellent. Sharing an unfenced border with the Kruger National Park, the &Beyond Ngala Private Game Reserve’s accommodation at &Beyond Ngala Safari Lodge offers an air conditioned cottage with ensuite bathroom and veranda. There’s also the option to spend two nights at their Tented Camp in a deluxe tent, complete with deep bathtub, al fresco shower, separate toilet, overhead fans, air conditioning, electric blankets for winter and wooden decks. 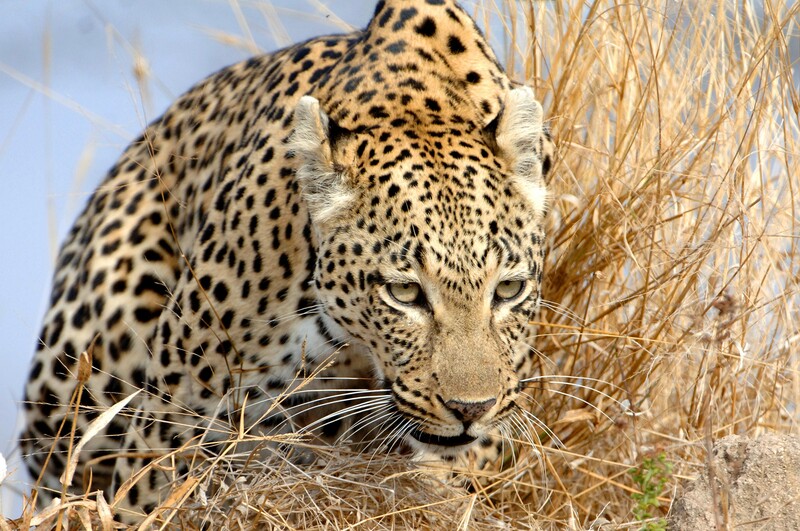 Known for sightings of the normally timid leopard, the &Beyond Kirkman’s Kamp in the Sabi Sand provides twice daily game drives, including spot-lit night drives in open 4×4 safari vehicles with expert guides and Shangaan trackers. Two air conditioned cottages, each with private veranda and ensuite bathroom, provide accommodation. Comfort, service and African cuisine are provided at all &Beyond’s accommodation. Included are three meals each day plus soft drinks, house wines, local brand spirits, beers, teas and coffees, emergency medical evacuation insurance, laundry and daily lodge activities. While staying in the Sabi Sand Reserve the Cascades & Canyons helicopter flight offers an unforgettable wilderness experience, swooping over the deep, lush gorges of the Blyde River Canyon and through valleys bursting with colour. There is also the thrill of tracking animals on foot, accompanied by an armed specialist ranger and tracker team in a private safari vehicle, as well as private, luxury, tailormade walking safaris that offer the best wilderness experience. Don’t forget to bring your camera with a long lens and plenty of memory cards. This entry was posted on Sunday, September 1st, 2013 at 7:47 am and is filed under Uncategorized. You can follow any responses to this entry through the RSS 2.0 feed. You can leave a response, or trackback from your own site.